While several figures already have Pop! LOTR editions, such as Frodo Baggins, Gollum, and Legolas, there are still a few (surprisingly) that have not yet made it into the Funko realm—until now! These include Galadriel, Gimli, and the Witch-king of Angmar. The troublemaking Merry and Pippin were also mentioned, but no images were provided. 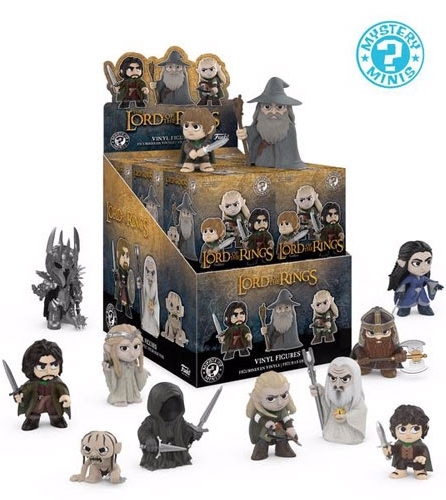 As is the custom, each Funko Lord of the Rings Mystery Minis figure is issued in a blind-box format to help keep the contents a true surprise. Moreover, tracking down your favorite characters might be slightly more challenging given that select retailers carry exclusive figures. 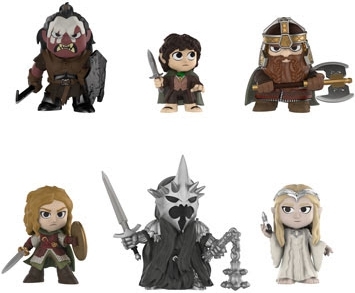 Order Lord of the Rings Mystery Minis on Entertainment Earth. 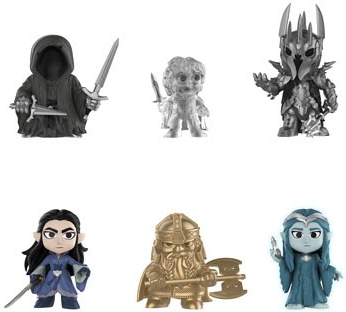 An invisible Frodo Baggins, blue Galadriel, and a gold Gimli are issued through Barnes and Noble, while Éowyn, Lurtz, and the Witch-king are exclusive to Hot Topic. Those seeking to collect the entire set will need to visit each retail outlet as there are at least 21 figures—including known exclusives—to discover. We will update with the individual odds for Funko Lord of the Rings Mystery Minis as they are revealed. See more Funko Lord of the Rings options with our related Pop! guides. Does anyone know the rarity rates of the B&N exclusives or can they be bought seperately?